A Note from Fatty: As always, let’s start the post with a nice convenient link to the donation page so when you choose to make that donation, you don’t have to go searching through this post for the link you need. Aren’t I helpful? 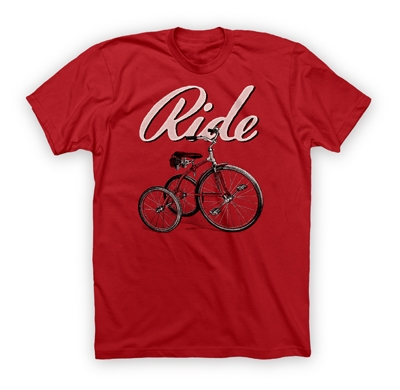 Welcome to day 3 of a Week of Giving Away Bicycles. 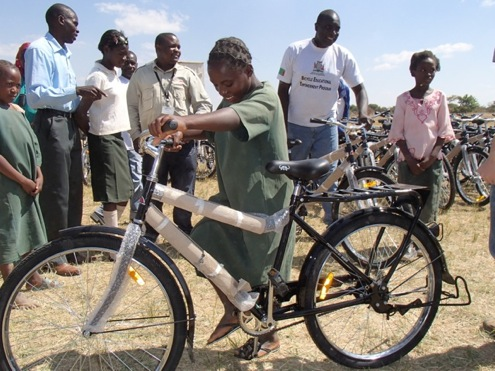 To recap, on Monday we talked about the whole purpose of this fundraising monster: getting bicycles to kids in Zambia, vastly improving their chances at getting an education, a job, and a better life. Yesterday, I revealed that a mind-blowingly awesome mountain bike is one of the prizes that will be given away in this contest: a Specialized S-Works Stumpjumper FSR Carbon 29, built up with the nicest SRAM components money can buy. To make it clear, when you donate, you’re entered to win every prize I have described so far, like the Africa in Moab trip I described at the beginning of this fundraiser, and the Stumpy FSR I revealed yesterday. Or the extremely Special (gee, I wonder why I chose the word “special,” and why I chose to capitalize it. Could it be a clue?) high-end road bike I’m going to reveal tomorrow. But not everyone needs — or wants — a super high-end bike. Some people want to use their bike to get around town, go to work, ride with the kids, and just enjoy being outside. The bike — well, actually bikes – I’m revealing today are for exactly that kind of riding. Plus, there are Six (gee, I wonder if there could be any significance to that number?) additional prizes I’ll be revealing today. So you’re going to want to read on. Miir is best known for their very cool-looking and functional stainless steel drinking bottles, like the one to the right. One of the things I really like about Miir is that for every bottle you buy, they donate a dollar to Onedayswages.org, toward providing clean water to people in Africa. That’s very cool. I like supporting companies like this. But in addition to bottles, Miir is now making bicycles, with a giving strategy similar to their bottles. When you buy a bike from them, you’re also donating to World Bicycle Relief. 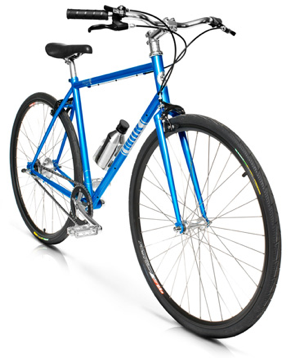 Not content with that, though, Miir has given me a bike to give away as part of the Grand Slam for Zambia 2. Well, actually, they’re going to let the winner choose between a couple of different kinds of bikes, depending on the kind of riding you like to do. So let’s check them out. 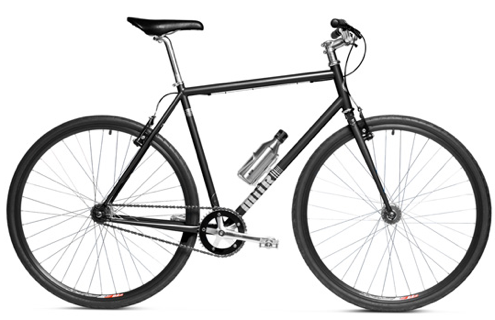 The Wave is a singlespeed commuter and is designed to be simple and reliable, with undeniable style so you can enjoy the ride as you turn heads. Thanks to the flip-flop hub you can either coast or flip the rear hub and ride it as a fixed gear. Nice. The chromoly frame and fork are designed with plenty of room for fenders or a rack so you can customize your Wave. Read here for details on the bike and to choose colors. With a tip of the cap to mid-century Dutch styles, the High 5 blends timeless design with fresh modern elements to get you where you want to go in style. The Sturmey Archer internal 5-speed hub is great for cursing the flats but also gives you gear options to help conquer hills you find along the way. You’ll have so much fun on this bike you’ll want to high-five everyone you meet along the way. Miir isn’t the only company adding awesomeness to the Grand Slam 2 Pile o’ Prizes today. My BFFs (yep, I totally know all the cool acronym the kids are using these days) at Twin Six are putting up six prizes of their own. 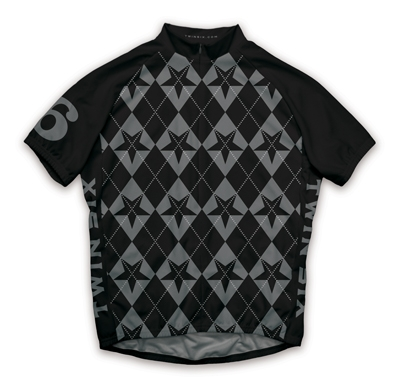 And about a zillion more fun and cool and beautiful things that cyclists would want to wear. 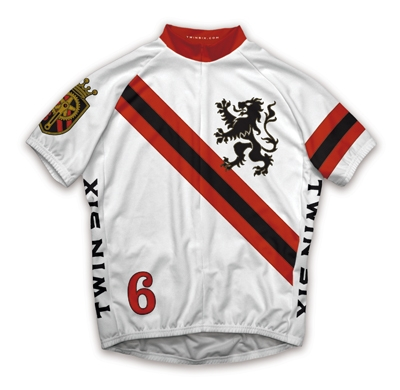 Well, check this out: Twin six is giving away gift certificates for $134 each (yep, the cost of a WBR bike) to Six (get it?) lucky winners. Shyeah. The real problem with this prize will be the obsessing you’ll do trying to narrow down what you’re going to get from all the things you love. You’ve got to go to my donation page and donate. For every prize I announce, we’ll do a random drawing from the big ol’ hat. And with all these prizes I’m announcing (I think the count is up to a dozen right now, and it’s going to keep going up), your chances of winning have got to be better than in the average contest, right? Awesome contest, but I am especially enjoying reading about the journey in Africa. It makes it so much nicer to have experience on the ground to connect with. What a great organization. Hills and flats aside, this is exciting just to read about! I only wish I had spotted ‘cursing the flats’ sooner. That could be the name of a rock band composed of avid and spectacular hill climbers. Ok. These are bikes that I could ride. When i get home in a couple of days I will donate. Won a random drawing here at work today, feeling lucky! By the way how long do I have to redeem my winning prize from last year? I believe i still have some ROAD ID credit out there. I once worked in a bike shop in Washington, DC. In 1998 a guy came in to buy 5 bicycles. He wanted them outfitted with foam tires and shipped to Africa. This guy ran an outfit there and wanted to give the bicycles to his employees so they could ride to work instead of walk everyday (among other things). That was the first time I recognized the power of a bicycle in developing countries – easier access to education, employment, and all of the other things that seem trivial in developed countries. Great cause, I hope you hit your goal of $250k!